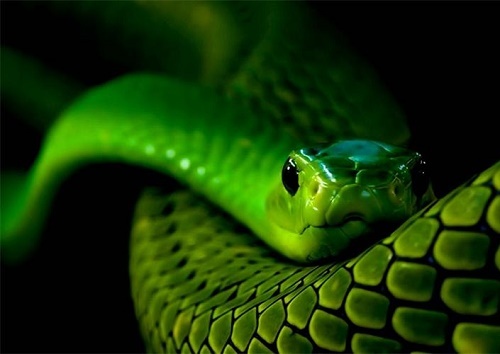 Called Green Devil, Mamba is a very beautiful snake. Its scales are emerald green, with shades of blue and yellow. 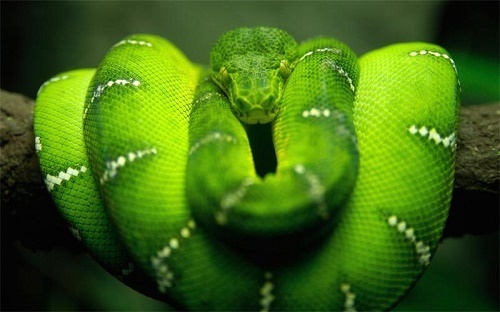 However, young snakes are light green, but when they grow to 70 cm, they begin to gradually darken. 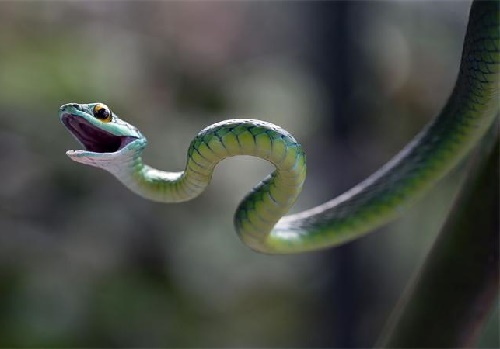 But do not be tempted by the beauty of the snake: do not forget that it is the green mamba that enters the twenty most dangerous snakes on the planet. 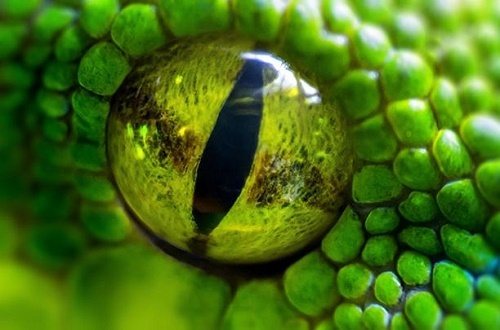 The poison of the green mamba is very strong, it is even more toxic than the poison of some cobras. For example, the bitten mouse dies in a few seconds. In fact, all the poison contained in the glands of one mamba, is enough to kill 9 people. 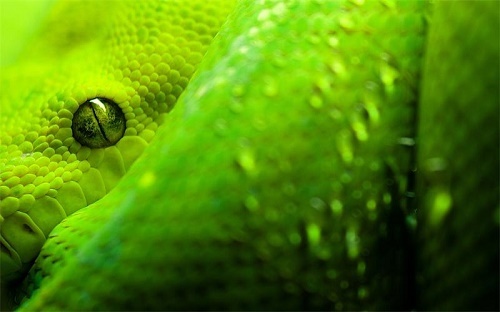 Compared with the black mamba, green is more dangerous for humans, despite the fact that the first is the fastest on our Earth. But still, the green mamba leads in terms of the number of human deaths. This is due to the fact that, firstly, the green mamba sometimes settles on tea plantations and mangoes. When people start harvesting, they involuntarily disturb unmerciful snakes. Secondly, the green mamba can attack for no apparent reason. As a result, each year, from the attack of these mambas in Africa, more than 40 people die. The body of this snake is strong and elongated, and the head is different from the neck. The eyes have a large round pupil, the iris of the eye is the same color as the scales. Mamba lives in the west of South Africa. Very often found in Mazambique, East Zambia and Tanzania. Most of the time mamba spends on the branches of trees, they often lie in wait for their prey. Very rarely crawl down to the ground. It would seem that people there can very rarely disturb it, but the point is that when a person searches for a snake under his feet, in the grass and on the ground, a green mamba rushes from above. She was even called Green Devil. Traditionally, the snake eats birds, frogs and small tree mammals.